2012 was a year of great highs (and lows). We've compiled a list of the most astounding #1s of the year. According to his own account, Snoop consistently smokes 81 blunts a day. Over the entire course of 2012, this comes out to approximately 29,000 blunts. Using the modest estimate of 3 grams of weed per blunt, this amounts to 191.8 pounds of weed. Strangely, that's exactly the same as Snoop's weight. It's physically impossible that anyone else smoked more. Oprah’s been holding down this top spot for years. She’s making $5 every second, enough money to buy a MINI Cooper every 68 minutes. John Hammergren, CEO and chairman of McKesson (pharmaceuticals) pulled in this astounding salary in 2012. It's greater than the endowment of his alma mater, Xavier ($117.4M). Dr. Dre's 9-figure earnings make him the 5th highest paid celeb of 2012. Floyd “Money” Mayweather pulled in $30,000 every second he spent in the ring. Gambling lost him $3M on a single college football game, but he cut expenses with a 60-day visit to the Clark County Detention Center. The Prime Minister of Singapore Lee Hsien Long gets quite the paycheck. In 2012, he made over 4 times more money than President Obama. Mark Zuckerberg did marry Priscilla Chan so this year wasn’t all bad...never mind, that’s actually a lot of zeros. His losses were greater than the GDP of two-thirds of the world's nations. 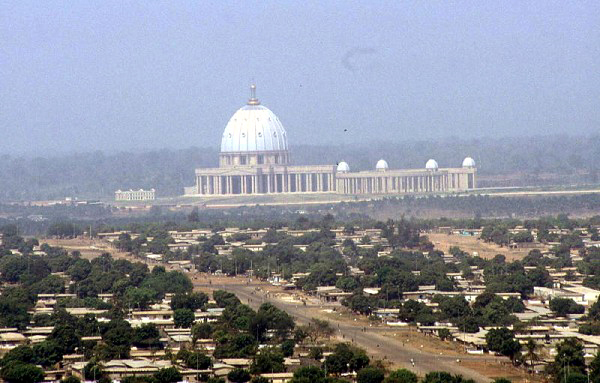 Yamoussoukro, the capital city of Côte d'Ivoire, had only 885,000 people in 2010. That's expected to rise to 1.3 million by 2015. So this city you’ve never heard of will be as big as Austin, TX in 2 more years. Visiting the shrine of Imam Hussein in Karbala, Iraq during Arba’een on 01/14/12: That’s a whole lot of people in one place. They could have filled every NFL stadium in the US 5 times! Bicycles beat out power tools, gold jewelry, laptops and cell phones for the top spot. Time to get a serious chain. 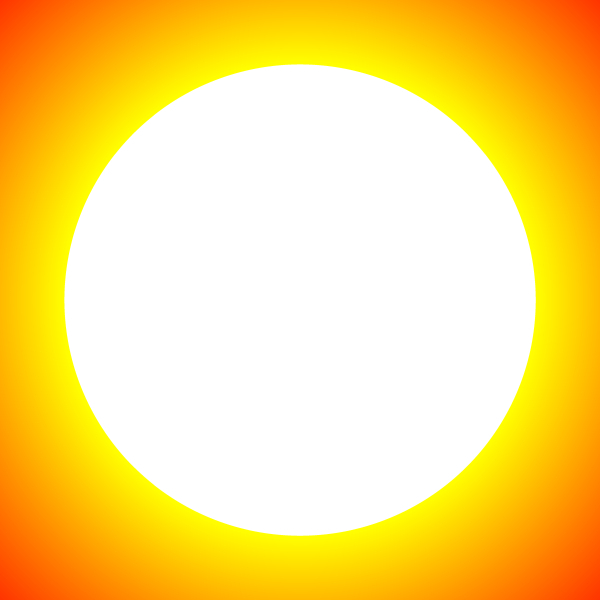 Here, the sun shines 350 days per year on average. In 2012, however, Yuma had 359 days of sun. That means that 96% of days were sunny there. Jump on that 3:10 train and get tan! With over 65 million copies sold, E L James' Fifty Shades of Grey is the best-selling book of 2012. Adele's 21 topped the charts for the second year in a row. "Somebody That I Used to Know", by Belgian-Australian singer-songwriter Gotye, has sold over 6.7 million copies so far this year, giving it a slight edge over "Call Me Maybe" at 6.2 million. With the addition of the year-end charts, Gotye's hit is expected to surpass 7 million sales in 2012. Including 2011, the song has sold over 10 million copies, making it the 12th best selling digital single of all time. This is more than 5x greater than the number of digital sales of Michael Jackson's "Beat It". Easily the most ubiquitous rapper this year, 2 Chainz had an epic run of guest verses unseen since 2007-era Lil' Wayne, who considered changing his name to "Featuring Lil' Wayne". Robert Downey Jr., Scarlett Johansson, Samuel L. Jackson, and others collaborated in The Avengers. The $1.6 billion gross is more than that of Iron Man, Captain America, and Thor combined. 219.4 million Americans tuned in for a record breaking TV audience. 302 events, 204 nations, 26 sports, and Michael Phelps' 22nd Olympic-record breaking medal made this must-watch TV this past summer. Al Michaels, Cris Collinsworth and Michele Tafoya step into the limelight in dethroning American Idol’s 7 year stretch at the top. SNF engrossed an average of 20.7M viewers each Sunday night, an astounding 20% share of the entire television audience. There are only 8,784 hours in the year, so SportsCenter's 12,740 hours of airtime in as many episodes means that the show is on TV three times every two hours. To put that in perspective: Friends (1,400 hrs), Family Guy (1,100 hrs), Big Bang Theory (900 hrs), Seinfeld (600 hrs), and Two And A Half Men (400 hrs) combined for only 4,400 hours this past year, about third of SportsCenter's total airtime. People went to Google nearly a quarter trillion times in 2012. That means there are 7,600 visits every second. The average user visits the site 20 times a month. "facebook" tops this year's list of most searched terms on the internet. According to Google AdWords, it was searched an astounding 45 billion times, or 1,500 times per second. It’s obvious now that people like Rihanna. Her song “Diamond” was her 12th career #1 on the US Billboard Hot 100, tying her with Madonna and The Supremes for most number 1 songs in the chart’s history. She's still number 1. Maybe now she’ll tell us what's in the world's most exclusive website. Gangnam Style was viewed over a billion times on since it was launched in July. The craze spread everywhere, even college sports. Coming in with 1,713 points more than the #2, Robert_Houdin inspires public transportation users everywhere. Yes, they may pay a few hundred dollars every time you click, but it pays off. These lawyers take in roughly a third of the multi-million dollar compensation from each case of asbestos related cancer. Before this year, it would have been unheard of to say your favorite dance was by a Australian hurdler. No longer. On BuzzFeed and its partner sites, Michelle Jenneke GIFs were viewed 10 million times. Her pre-race routines took off on Youtube as well, with this video getting over 20 million views. "21 Pictures That Will Restore Your Faith In Humanity"
Jack Shepherd's "21 Pictures That Will Restore Your Faith In Humanity" struck a chord with our readers, spreading rapidly on Facebook and other social networks. Its 11.3 million views place it well ahead of 2011's top post, "The 45 Most Powerful Photos of 2011", which received 9 million views during that year. "Prince Harry -- Naked Pictures of Las Vegas Rager Leaked"
BuzzFeed tracks activity on hundreds of partner publisher sites. In 2012, the biggest post of them all was TMZ's account of Prince Harry's wild night. Her majesty clearly taught her boys how to have fun. Strip pool enthusiasts rejoice, you’re in the big leagues now. Since 1995, we've watched birds outsmart tenacious felines. Tweety keeps it up through 2012: him and his feathery friends are 2.5x more popular than their furry predators. Sloths got the edge overall, but the story was different on BuzzFeed. Here, 2012 was the year of the hedgehog. There were over 1.1 million views to hedgehog-related content. On BuzzFeed and our partner sites, Corgi-related content was viewed over 10 million times.